We at The Smithshyre love the history we were blessed to buy into. 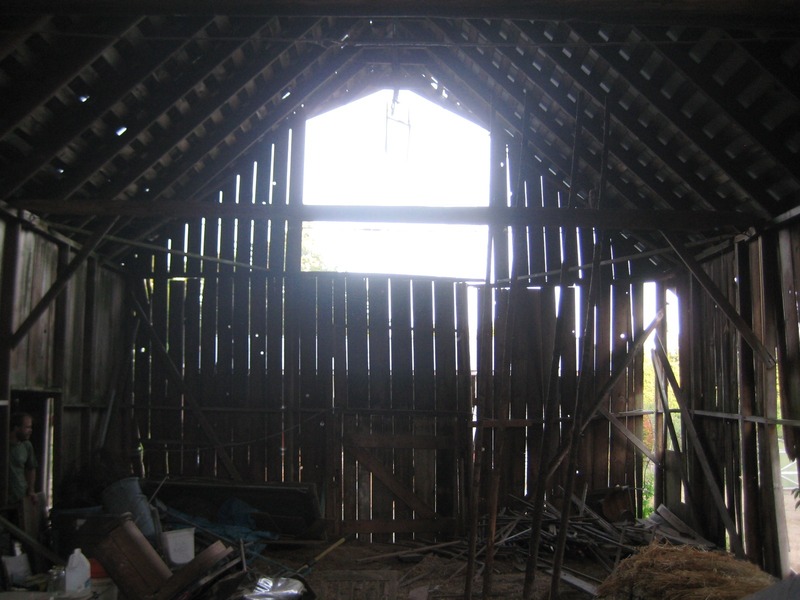 We have applied to have our 1930’s barn register as a Heritage Barn. 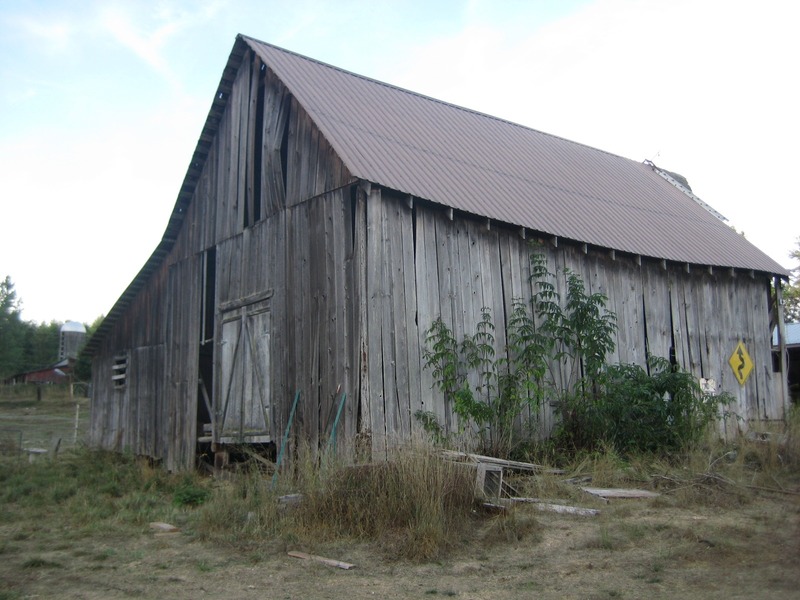 If we make the listing we will be eligible for a grant to preserve the barn. Here is part of the application. 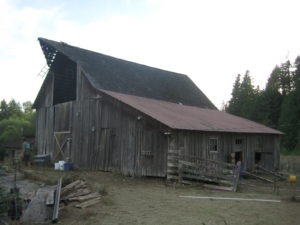 The Carlson’s and later the Foss’ made important contributions to Kitsap Counties early settlement and agricultural heritage. It was 1882, Frank Carlson of Sweden came to the New World for a better life. Once in the Seattle area, he found friends from the old world “The Johnson’s”; Andrew, Oscar and Clara. In 1883, Frank and Clara were married and started a 160 acre homestead. They planted many fruit trees which still bear substantial fruit today. Frank and his brother Alfred cleared land and built a one room cabin right away. They then started work on a proper home. It was a log hewn building 2 stories with 2 large rooms. They had 5 children by 1903. In the 1930’s the dairy barn was built. It had 10 milking stanchions. 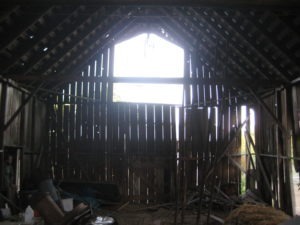 Most of the barn seemed to be dedicated to a hay shed. The hay grapple fork, hood and rail system are still in place. The hay shed floor is made of large logs split and placed unevenly as if to promote ventilation via the floor. The dairy half has a floor of large milled 12 x 4s. 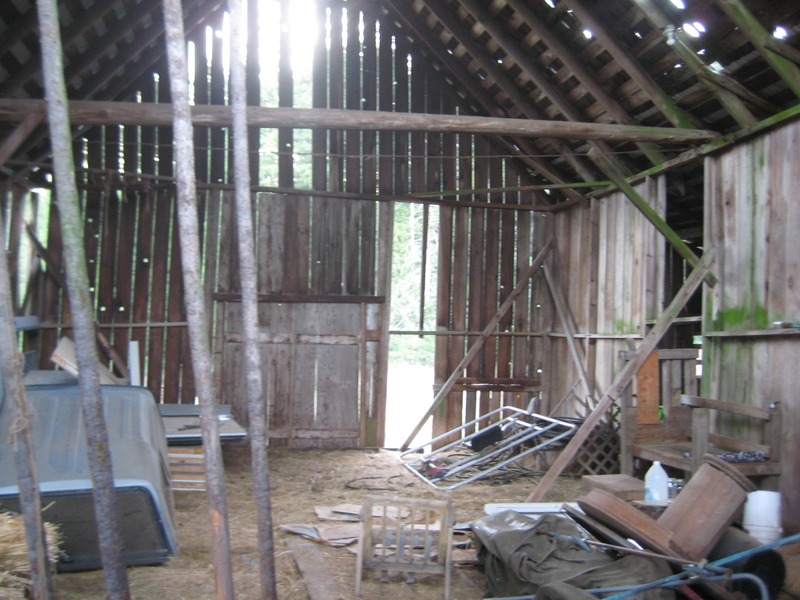 When we took possession in 2013 there were several vintage milking stools still in the barn. By 1940 the Carlson’s had all moved on and the farm was rented out for $25 a month. In 1915 Victor Foss married Hilma Sundberg, as a wedding present her grandfather bought them 40 acres from a lumber company near Poulsbo. They had 5 children by 1925, Russell was the second born, it was 1918. Victor became the communities favorite butcher and Russell helped his father often. They offered house call butchering. Annie Jensen and Russell Foss got married in 1940 and moved into the “Old Carlson house” that was now empty. The place was in bad shape but rent was only $25. They fixed it up and by 1947 they had 4 children of their own. They were able to buy the house, barn and orchards with 40 acres from Mrs. Clara Carlson for $1,800 in 1942. Russell was exempted from the draft because their butchering service was so important to the community. After the war in 1948 Foss and sons built a large slaughterhouse, “Foss Packing”. The business had an excellent reputation. By 1953 the county road on which the packing house was situated was formally named Foss Rd. N.E. The Foss’ ran cattle on their 40 acres and offered beef finishing services as well. The whole family worked at the packing house and it was a going concern until the late 1970’s. In the 1990’s the packing house became the Thomas Kemper Brewery, which is closed. The “Old Carlson house” is a pile of weathered wood and other homesteading implements. Some 20 fruit trees still bear fruit and we love to share their story with guest and visitors. Roni and I bought 5 acres, the “Old Foss Farm” as locals call it, in December of 2013 from Nancy Foss (Russell and Annie Foss first born) to help pay for her assisted living. Two Foss sons and their children remain on Foss land, each on five acres. Gordy Foss leases to us five adjacent acres. They all appreciated what we have done. We have returned vivacity and a fresh agricultural hue to the old farm. We have a pastured poultry business and a large market garden, we call it, “The Smithshyre”. We also keep Dwarf Nigerian dairy goats, American Guinea hogs, Narragansett turkeys and Finnish sheep. 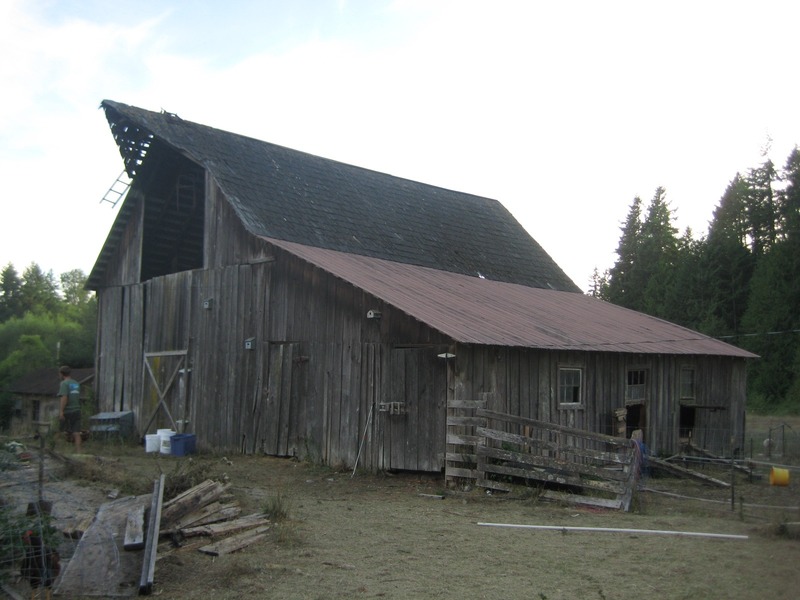 The Carlson’s and later the Foss’ made important contributions to Kitsap Counties early settlement and agricultural heritage. We are proud to continue this history.